Hi Ryan… Nice to meet you, finally! First of all, I am really impressed with your pedals. I remember buying without any hesitation first time I saw “Dream Sequence”… before I became one of your dealers. And not only pedals, I saw your band “Royal Bangs” footage from David Letterman Show on youtube for the first time last week and… Man, I was blown away…!!! Your band sounded amazing! Thanks, I’m glad you liked it… That was a long time ago. We used to tour a lot then.That’s kind of why I got into doing this pedal making thing, ‘cuz like on that same performance that you saw, I ran this whole laptop, Audio Interface and other custom stuff that I made on the computer…Guitar player was running his effects thru the computer and then my keyboard stuff was also going to be there and we would process it…We got a lot of stuff we really like! And you know after the show, all the pedal nerds would come up to our stage and check out big gray MIDI controller thing that I built for him… I built it for him so he could just step on the computer effects and turn it on and off…That was like 8 years ago, so back then there was not many available devices to do that.Some people get disappointed when they find out that some stuff is coming out of computer or whatever. After we toured years and years, eventually it kind of was like winding down everybody, you know…? I was looking at maybe doing other things or whatever… and I started to think like… Well, maybe we could take some of that stuff and make it a little easier… where we don't have to have a laptop and all this kind of stuff.And then, my friend Jason who's my business partner now, he helped me on all the hardware stuff and I didall the software… We work together on that stuff. Oh man, I could go on forever to tell you the number of times we had like, right in the middle of a really good show, and then you know computer crashes and we tell the audience to hold on a second while I've just got to reboot my computer… Nobody wants to hear that.So we didn't want to have that much complication. So by the end of our last Album we were just using keyboard sound from the Laptop. It just became a distraction. Then you came up with this beautiful pedal! So here’s the thing I was trying to get close do with “Infinite Jets”… You can experiment with tools in your tool kit but then you can save them, and then, you know so you're not having to like turn the LFO ON in the middle of the set or whatever. That sounds Panic inducing. You don’t wanna be thinking about that in the middle of the show. I hope to expand on a future to it, like this is the time when you're experimenting, this is the time where it does what you wanted to do when you're on the road or something. 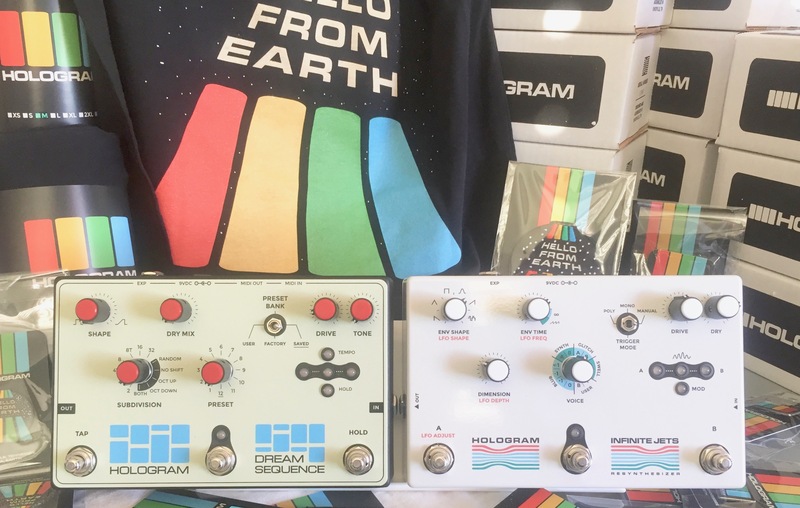 Dream Sequence, Infinite Jets Resynthesizer and other cool goodies! This is exactly what I want to tell people, is that please go for it and makeup your own preset. Take it on the road, do some crazy stuff in control… So now you're busy with pedal business… Are you still making your original music? Did you expect to be this busy with your business? …So… the band is on kind of Hiatus right now? We did that band full-time for 6 or 7 years, maybe?It definitely helped me on designing pedals. Did you always have the software skill? Was the tempo synced with lights and stuff? Yes, but that was the problem… I made it so it all sync to the tempo, but that was around the same time that we stopped playing to a click track. Somebody had to be in charge of changing the scenes and stuff. It was not fun at all. Were you guys using click track prior to that? Yeah. But we had to stop. I think main reason that we stopped using click track was that we didn't have the full in-ear monitors. So basically all he would hear was the click track, so I think it was just not fun for him. For the rest of us, it was okay, but yeah… So do you still play music? Do you have a band or anything? Why did you guys ended the band after appearing in David Letterman Show? Things were looking good, No??? I think we got out of it at the right timing… we had a good amount of fun touring around the globe. At the same time we still had other jobs that we liked, and we are still good friends up to today… If you don’t get to the point that you are really huge to make enough money. It could get little scary and sad… I must say that I feel more comfortable making pedals than touring all the time. You have a talent of both making great music and great pedals… that’s your destiny! So did you start the pedal company with Jason? Yeah, at first Jason and I developed it. I assembled very first 300~400 myself. Now we have hired a few people and they assemble/do emails in house for us. We live in Knoxville TN and It’s really cool place to live. We have a warehouse that could be expanded as our business grows… Knoxville can be a small town but there are a lot of cool artists live there and rent is not overpriced. So… What’s next after “Infinite Jets”??? I am working on a new hardware platform that’s very difficult but exciting… a lot to learn, though… It’s still to early to say what’s gonna be like to be honest. But I am working on it! Would you make anything else like Amps or Eurorckmodular? Yeah, maybe I would make keyboard or synthesizer in a future? 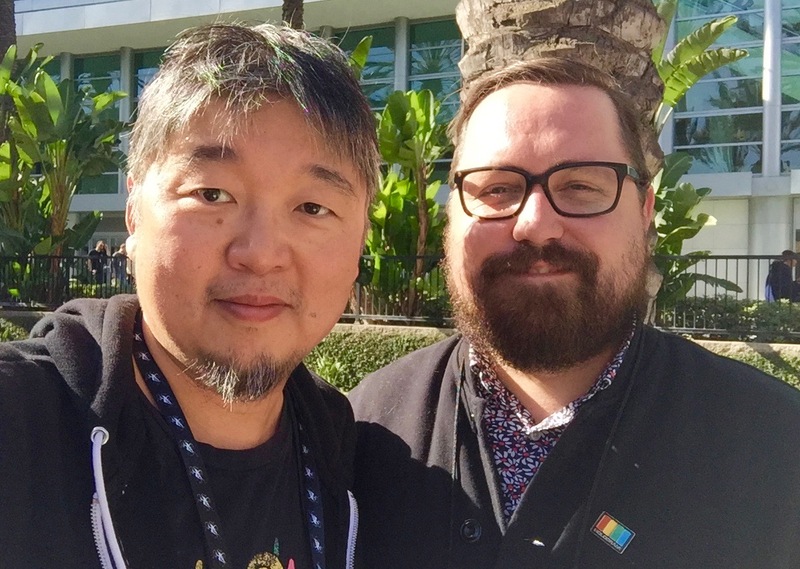 I actually met Jason at the nerdiest Synthesizer class when we were in college… There was nobody else but me and jason. They had this amazing Modularsynth in a class that we never got to touch it for the whole semester… (laugh). I took a composition class instead after that. Did you ever study classical piano? Do you have a favorite keyboard player? Now, let me ask you most common questions… What was your first effect pedal you owned? Who was your favorite artist listening to? I always liked Classic Rock but I was definitely in shock first time I heard Radiohead’s “OK Computer”. I was amazed with all that sound on the album. I couldn’t tell wether it was a guitar sound or a keyboard sound… And production of it that I was really into those weird sound. When “Kid A” came out, it was all exciting time. I feel like they were the last band in a while that you would wonder like, “What are they gonna do in next Album?” kind of excitement. I do miss that kind of feeling. 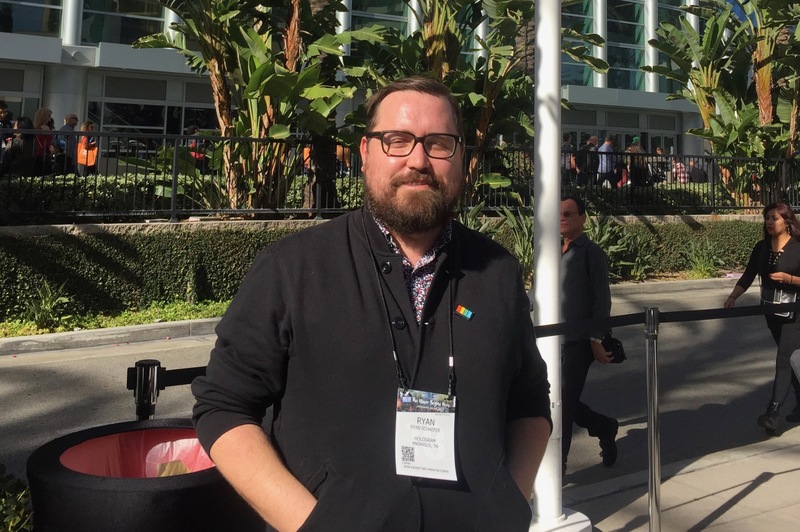 So what was it like to you when Ed O’Brien(Radiohead) contacted you for the first time? It was REALLY exciting! I was shocked! He contacted me because we were out of “Infinite Jets” at that time… He wrote me a very nice email.I sent him both Dream Sequence and Infinite Jets after that. Enjoy digitally controlled analog sound of Infinite Jets and dream sequence!!! Yeah, that’s great! I even saw some article him talking highly about your pedals! So great! Are there any other Pedal brands that you like or good friends with? I know Jamie from Earthquaker Devices for a long time. Not from pedals but we used to tour together with bands and stuff… I used to stay in their house in Akron when we were on the tour.It was fun to watch them growing. At first there was a couple of people making pedals in their basement, then there was more people next time I saw, and they moved across the street to huge place after that with even more people…! Super nice guys, too! Any other brands you like? I like Chase Bliss stuff. They do a lot of exciting stuff with interesting angle, digitally controlled analog stuff like we do. Because it’s not really easy to do that but they do a really cool job doing that. Now that you have a hit pedal called “Infinite Jets”. Are you worried about coming up with another hit pedal? Can you keep entertaining us with more new stuff? Well, I would like to come up with new pedals more often. Maybe 2 new pedals per year instead of one new pedal in a year and a half… but I am not to worry about coming up with new ones. I have a zillion new ideas in my head. I am in a mode of exploring a lot more… all weird stuff though! All right, there you go! It was really nice to meet you in person finally~ ... Thanks for making great pedals! 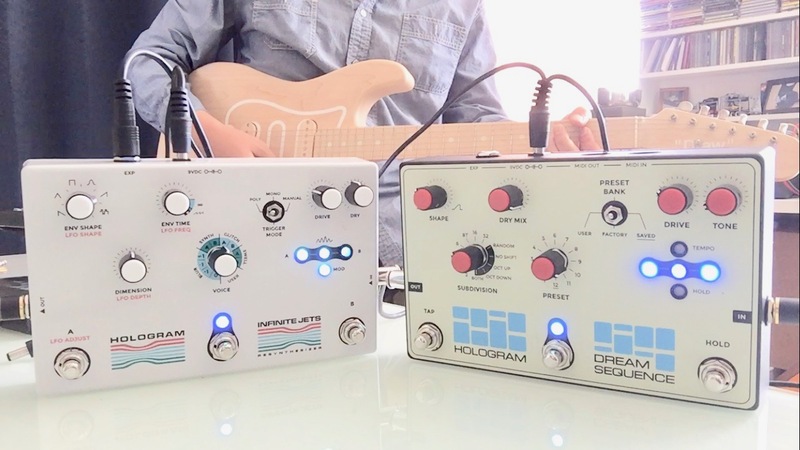 Click here for all HOLOGRAM ELECTRONICS Products!!! 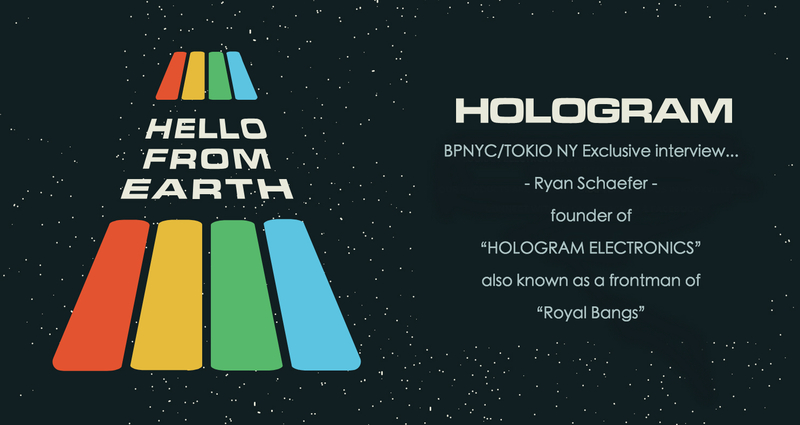 » BPNYC/TOKIO NY Exclusive interview- “Ryan Schaefer“ founder of “ HOLOGRAM ELECTRONICS” also known as a frontman of indie rockband “Royal Bangs” …! » Colorful and Chaotic SNAZZY FX STOMP BOXES are reborn!!! » New synth from Critter & Guitari "ORGANELLE" and its events! » Miixing class in Brooklyn NY by legendary producer, engineer and UPA mentor Scotty Hard (Wu Tang Clan, Vijay Iyer).